General Motors Co. has started the wind-down of its Indianapolis stamping plant after UAW-represented workers yesterday overwhelmingly rejected a proposed 50 percent pay cut that was sought by a potential new owner of the plant. 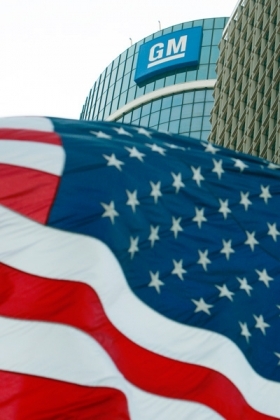 GM spokeswoman Kim Carpenter said GM has ended its search for a potential buyer. “We are disappointed that UAW Local 23 was not able to ratify the proposed labor agreement,” Carpenter said in an e-mail. Gregory Clark, UAW Local 23 shop chairman, said last week that the cuts were too deep and the plant's 650 workers would take their chances transferring to another GM plant should jobs open. He said about one-third of the hourly work force is eligible to retire. Clark was critical of the intervention by the UAW International into the issue. In May, the workers overwhelmingly said they did not want to initiate concession talks with the potential new owner, stamper J.D. Norman Industries. Despite that, the UAW International picked up negotiations and tried to sell the workers on the merits of the new contract. The vote yesterday was 457 no to 96 voting in favor. The contract proposed to cut production wages from $28 an hour to $14 an hour. A 14-an-hour wage equates to straight-time annual compensation of less than $30,000. The proposed contract also contained a “buydown” provision that would have paid workers a total of $25,000 over two years to compensate them partially for the wage and benefit cuts. Clark said the massive plant makes large stampings, such as hoods, doors and fenders, for several GM cars.